Most trampolines only have 96 springs and better trampolines have 100 springs, but the trampoline from Trampolines Down Under features 104 springs that are longer and made of higher quality for extra bounce, strength, and longer lasting fun. This 8 piece frame is easy to assemble, built solid to withstand the elements, and provides a stable jump. 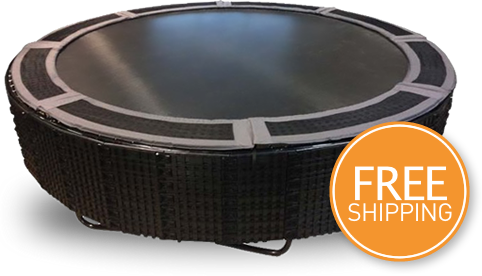 The 12 gauge, 55,000 PSI steel frame provides a quality feel that no other trampoline provides because of how little the frame flexes and bounces during use. 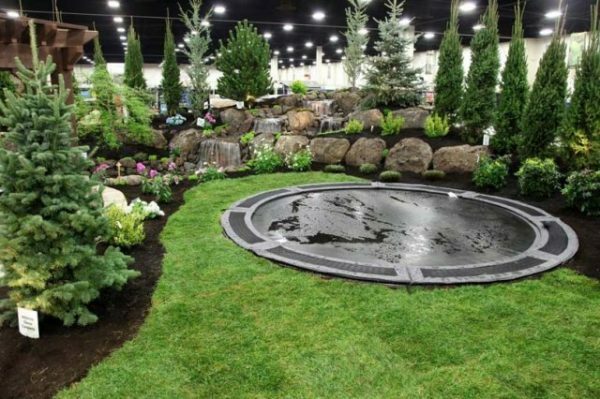 In addition, the frame has been powder coated inside and out to maintain its rust resistance, and it’s why this trampoline is the go-to solution for in-ground installation. 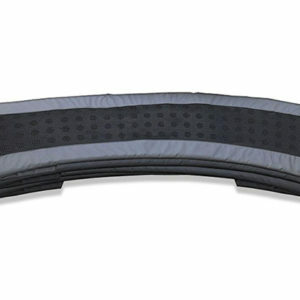 Improve your bouncing experience with the one-and-only, patented, vented safety pad. Made with water and mold resistant materials, this pad was made for the outdoors and designed so you can jump without the noise of the pad slap. Made with the highest quality polypropylene, Dacron Reinforced Vinyl Hem, and stitched with 35lb UV Resistant Thread — this trampoline mat is made of the highest quality, UV resistant materials to provide a long-lasting, comfortable jumping experience. Due to quality craftsmanship and innovative design, this trampoline boasts a 425 lbs. weight limit. For safety purposes, like most trampoline manufacturers, we recommend one person on the trampoline at a time. The frame leg joint on the trampoline from Trampolines Down Under is 2″ longer than standard trampoline leg joints. The benefit you receive is a more solid bounce and less movement in the trampoline as you bounce. This makes the jumping experience more enjoyable and comfortable. If you are installing an in-ground trampoline, it is imperative that you use the only patented retaining wall system that was designed and built specifically for in-ground trampoline installations — The Trampolines Down Under Retaining Wall System. 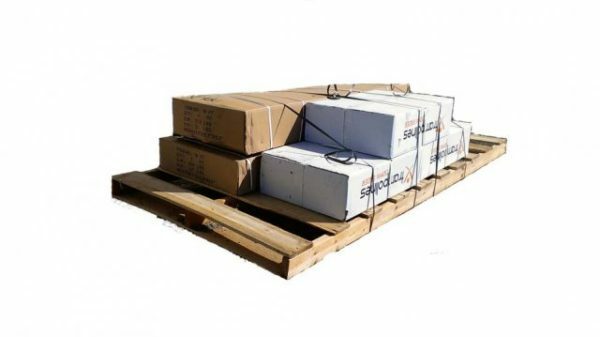 This trampoline retaining wall system by Trampolines Down Under is known for its exceptional quality and durability; which is why most people prefer it to other solutions that were not specifically designed for in-ground trampoline use.